Check out this amazing slideshow by Kathleen Kendall-Tackett about the links among childhood trauma, race, size, and socioeconomic discrimination, and later physical illness, sleep disturbances, depression and obesity. This goes beyond the ACE studies and to look at all forms of stress/trauma including cultural ones. 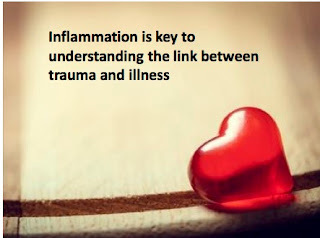 The worse the developmental trauma (this includes poverty and social discrimination), the greater the impact on physical and mental health, insulin resistance and obesity. Time to stop blaming the survivors and start challenging the causes.